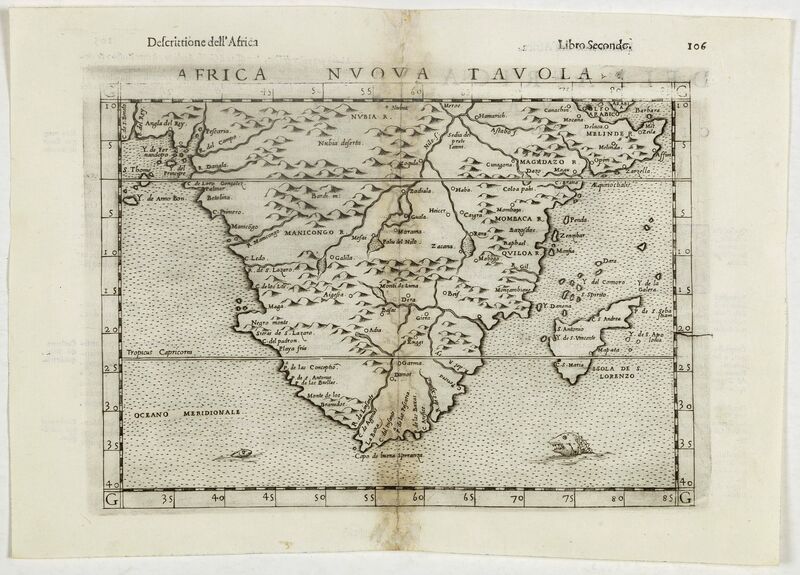 Old map by RUSCELLI - Africa Nuova Tavola. 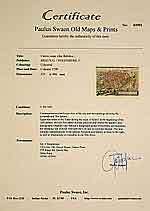 Size: 7.3 x 9.6 inches. Condition: Some light discolouration along center fold and paper thinning in upper part. In good condition. Italian text on verso. Fine 1598 edition of this early map of southern Africa. Girolamo Ruscelli first published the map in his "La Geographi di Claudio Tolomeo" (Venice, 1561), with the present example being from the 1598 edition of the work. In 1574 a new plate was used which lasted until the final edition of 1599. While the earlier editions appear on the market with some frequency, this final edition is much scarcer than its predecessors.